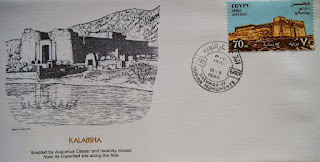 Thank you Albrecht! 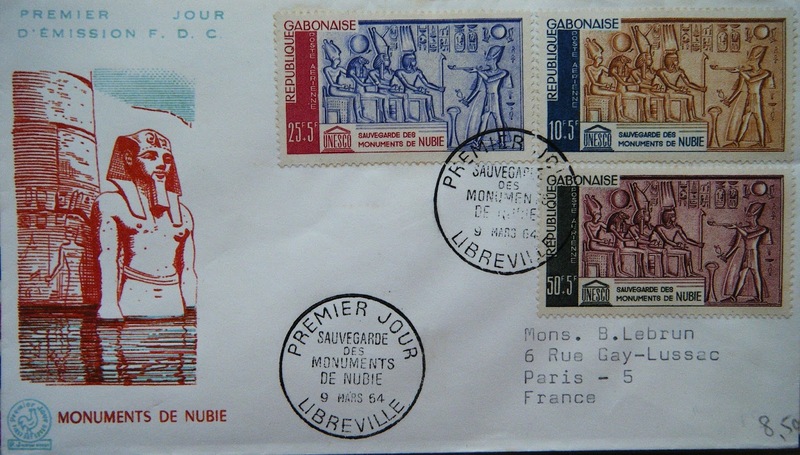 A unique souvenir folder from the Paris 1967 Exposition for the Campaign to Save the Monuments of Nubia. 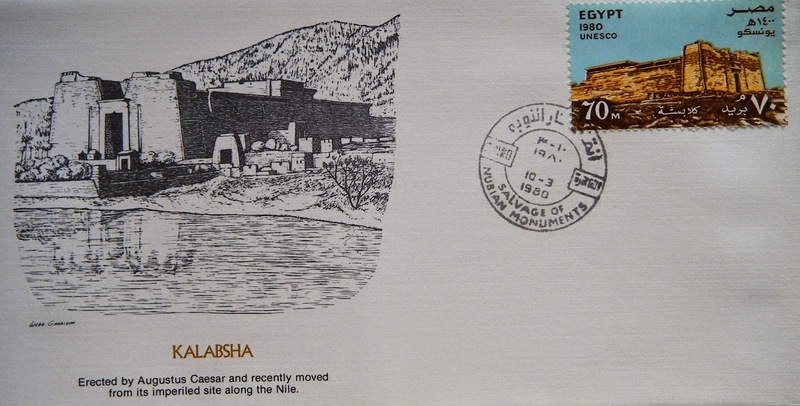 A 1980 FDC with the Temple of Kalabsha released to commemorate the 20th Anniversary of the UNESCO campaign to save the Nubian Monuments. 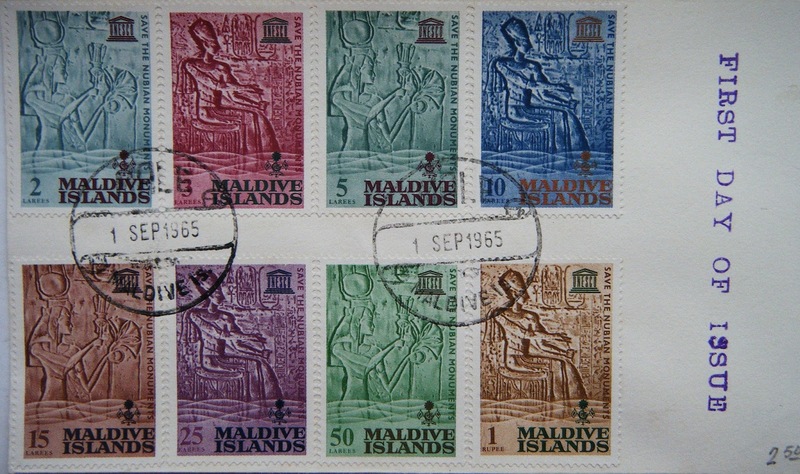 Three other stamps and UNESCO selvage make up this set. Thanks Peter! 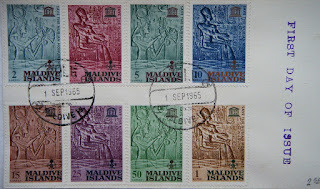 1965 Maldives FDC with Ramses II shown in bas-relief and Queen Nefertari is playing the sistra. 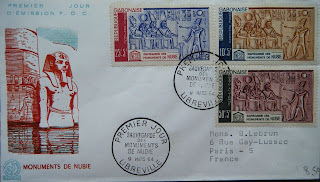 Thanks German for this great 1964 Uruguay cover!